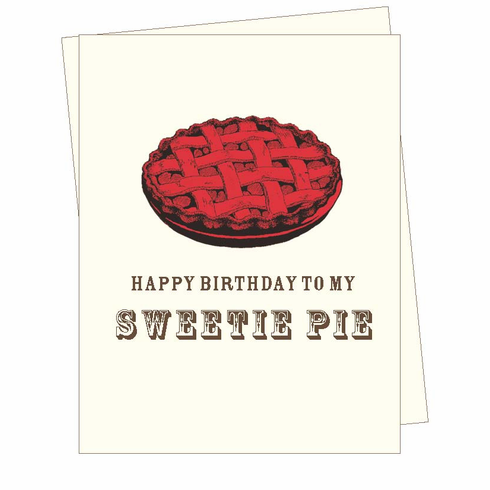 "Happy Birthday, Sweetie Pie" text is matched with a vintage illustration of a pie. Irresistable! Blank inside.